The latest round of the PRP is in the books and the race to make the top two is hot. OMBAC had a scare over the weekend as they survived against Life West 39-33. OMBAC are still unbeaten on the season and have opened up a big lead in the standings with three matches left to play before the final. For OMBAC it was an uncharacteristically leaky performance on defense while for Life West it was a much better result after a few weeks of going the other way. A try from try scoring machine Tim Stanfill coupled with a penalty gave OMBAC a 10-0 lead. However, it didn't last as Josefa Vuatalevu scored for Life West. Player-coach Tai Tuisamoa then responded for OMBAC as they retook a double-digit lead. The match would continue to seesaw with Life West scoring again but OMBAC returned the favor. At 24-21 it was close before OMBAC went on a run to extend their lead to 39-28. Life West would score again to keep it close. San Francisco Golden Gate did their best to keep pace with OMBAC thanks to a win over Santa Monica. SFGG scored early and often as the Santa Monica defense once again had problems. 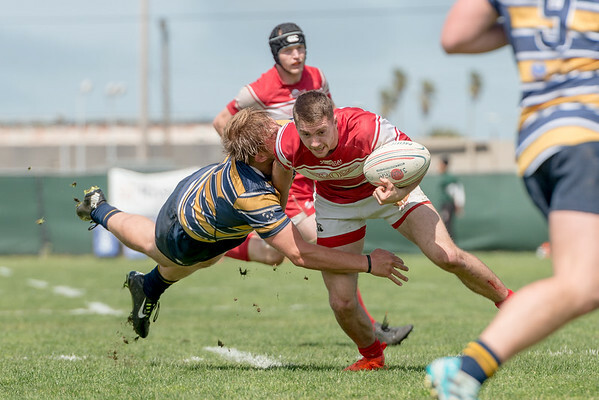 Santa Monica has been better as the season has gone on but the defense has consistently been a problem and it came up again on Treasure Island on Saturday. SFGG are coming into their element at the right time. It wasn't the start to the season they wanted and they have been chasing OMABC every since. They are also neck and neck with Belmont Shore for the spot in the final. Like Santa Monica, Olympic Club has had a history of defensive issues while not always being able to put up a matching score. That was the case over the weekend as Belmont Shore won 44-10. Olympic Club were limited to just a penalty for most of the match until they scored at the end. Belmont Shore and SFGG are still tied in the standings as they both picked up bonus points. Both sides still have to play OMBAC and Life West. Belmont Shore also plays Santa Monica and SFGG plays Olympic Club.